The autonomic nervous system is intimately involved in migraines, autonomic cephalgias and other primary headache disorders. Commonly associated autonomic symptoms such as nausea, lacrimation, emesis, and rhinorrhea make this very evident. The sphenopalatine ganglion (SPG) also called Sluder’s Ganglion or the Pterygopalatine Ganglion is an extracranial parasympathetic ganglion with both sensory and autonomic fibers. Basically, a small part of the brain outside the calvarium with easy access for clinicians. It has therefore been hypothesized that blockade of the sphenopalatine ganglion produces relief from primary headaches by modulating the autonomic fibers involved in headache disorders. Basically, turning off Sympathetic overload of the “Fight or Flight” reflex and allowing Parasympathetic “Feed and Breed” reflex to predominate. An small study published in JAMA showed significant benefit of intranasal lidocaine (55%) compared to a saline placebo (21%). The results were a 50% reduction in symptoms in 15 minutes. Lidocaine is ideal for treatment, prevention and elimination of headaches due to it safety and efficacy. A study in a headache clinic produced positive results showing improved relief at 15 minutes, 30 minutes, and 24 hours when comparing bupivacaine to normal saline. This is without side effects of commonly utilize migraine medications. The sphenopalatine ganglion is located in the pterygopalatine fossa, posterior to the middle nasal turbinate. There are several ways to perform an SPG block including transnasal, transoral,Suprazygomatioc and lateral infratemporal approaches. Injection techniques give the most dramatic relief but the transnasal approach is extremely successful. Both methods may be utilized on the same patient in a single appointment. The transnasal approach is the simplest and most practical method for most physicians and dentists and the only method where self administration is possible. and relatively non-invasive without the use of needles. I generally teach the use of cotton tipped nasal catheters than provide continual capillary feed of lidocaaine to the region of the Sphenopalatine Ganglion. The advantage is very low cost and it is easily taught to patients for self administration at the onset of a headache or migraine. Self Administration is the key to the best results but it is rarely taught to patients by their doctors. 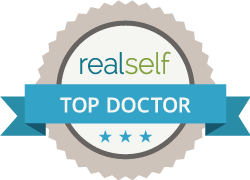 Self administration saves the patients hundreds of dollars as well as multiple trips to physician offices. The efficacy improves considerably with frequent repitions of the block. Te lidocaine also exerts an anti-inflamatory effect. I utilize 2% lidocaine and use a syringe to fill the catheter and soak the cotton tip. Ideally a panoramic film, sinus film or CT scan can reveal tight nasal passages. When tight Afrin Nasal Spray (Oxymetazoline ) can be used to dilate nasal airway prior to procedure. The catheters are gently advanced past the turbinates until a positive stop is felt Tapping on the catheter can confirm placement. Patients are mobile and can watch TV, use phones, computers and ipads. The other transnasal technique is a “squirt gun” approack and requires the patient to remain supine for 20 minutes. There are three FDA approved devices. The Sphenocath is my favorite, the Allevio is very similar and the TX360 is a “double barrel” approach with two catheters in a single syringe assembly. While these are all single use catheters I will often teach patients to self administer SPG Blocks with the Sphenocath device. Patient can utilize the device multiple times making this procedure affordable. While more studies are needed before SPG blocks can be considered a standard first-line therapy for the treatment of migraines and other primary headaches, it remains a reasonable option for patients suffering from a primary headache that has been resistant to more traditional abortive treatments.